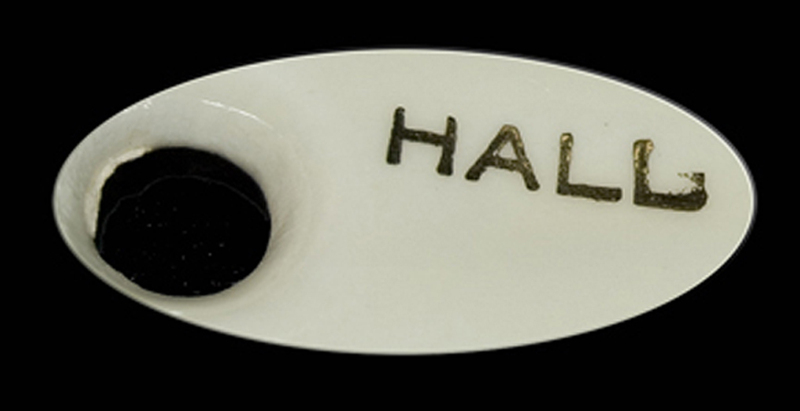 MARKS: " HALL" in gold lettering. CONDITION: We are offering for sale a pretty Hall China Blue Bouquet Spoon. This pretty spoon is in Undamaged Condition without chips, cracks, or mold damage. The glazing is beautiful. The platinum trim is is excellent. The decals are fabulous. Blue Bouquet was made by the Hall China Company in the 1950s. This spoon has a gold HALL stamp on the back of the handle. We have pictured the backstamp in our second photo. Blue Bouquet (1950s through mid 1960s) Blue Bouquet was produced for the Standard Coffee Company of New Orleans. Because of this Blue Bouquet is found more often in the southeastern states. Blue Bouquet can be found on both C and D style dinnerware. Many kitchen pieces do exist. This pattern is difficult to find, but putting a set of it together is well worth the effort. Merchandise is guaranteed as stated in the description. All items are carefully examined before listing & again before they are packed. If any errors are made in the representation, a full refund will be issued upon return of the item.Items must be returned via the same manner in which they were shipped. If you wish to ship in another manner, other than the one we have provided please get in contact with us..